Hokamas is a collection of mixed media drawings arranged together for the very first time. Printed in full color, embossed, signed and numbered in an edition of 50. 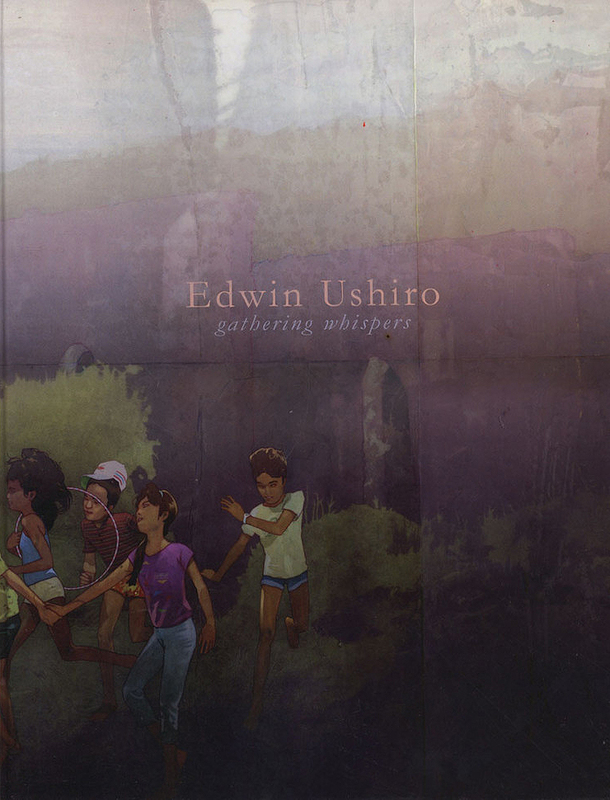 Edwin Ushiro‘s work resonates with the echoes of his boyhood in the “slow town” of Wailuku on the Hawaiian island of Maui. In his paintings, he recalls the sun-struck days of youth, when the world was fresh and magical, but also explores the eerie folklore indigenous to dark country roads and the boundless depths of the childhood imagination. While structuring his work around the narrative tradition of “talk story” native to the Hawaiian islands, he interweaves the uncanny obake tales of his Japanese heritage. Working in a unique mixed media technique which involves laboring in ink and acrylic over reclaimed sheets of Lucite printed with assemblages of his more traditional drawings and paintings, he creates reflections on the past that are luminous and nostalgic, like cherished memories burnished by the passage of time. After earning a BFA with Honors in Illustration from Art Center College of Design, he worked in the entertainment industry as a storyboard artist, concept designer and visual consultant. 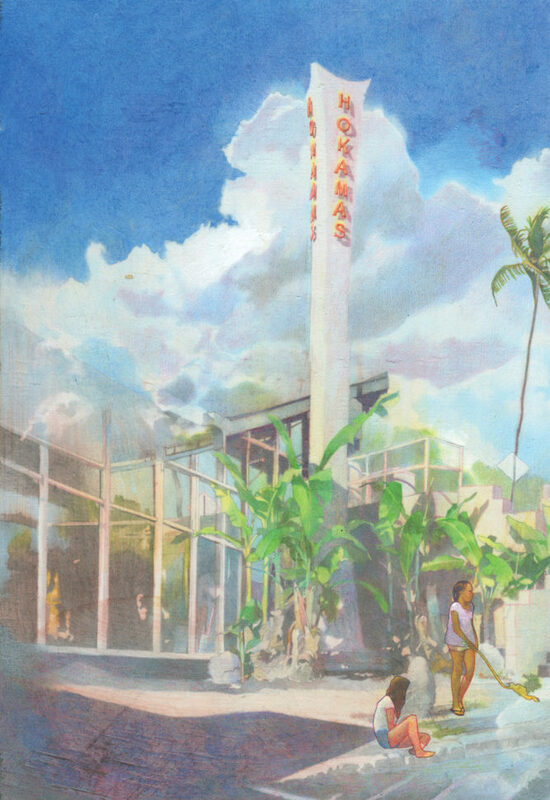 More recently, he has exhibited in venues worldwide, including Villa Bottini in Italy, the Museum of Kyoto, the Honolulu Museum of Art, and the Japanese American National Museum. He lives and works in Los Angeles and Maui.